Join us for a week of faith and fun! 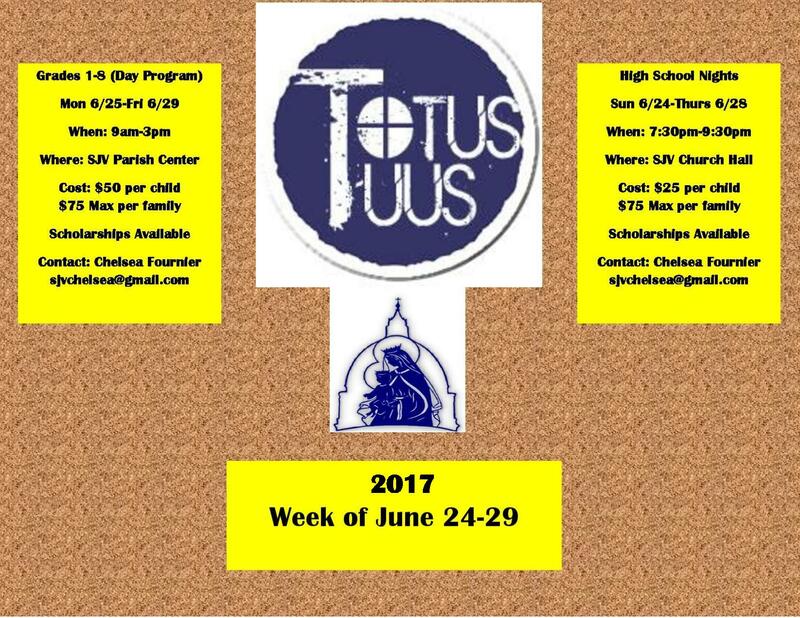 Totus Tuus (Latin for "Totally Yours") is a high-energy dose of faith building led by 6 amazing young adults. The program includes songs, games, snacks, daily Mass and a water fight to close the week! 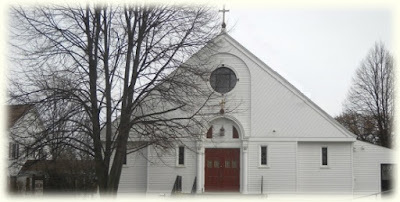 Participants will have a great time and grow in their love of God and the Church! Cost is $50, family max is $75. Scholarships are available. Each evening will include fun, instruction, small group discussion and prayer. On Tuesday, Father Pat will join us for Adoration and Reconciliation. Concluding the week on Thursday evening will be a water balloon and/or squirt gun fight. The cost is $25, family max is $75. Scholarships are available. Who is St John Vianney?